As technology changes and evolves, the printed circuit boards that enable devices to work have to evolve as well. With this trend, investing in PCB layout service is more important than ever before as it can save you both time and money. 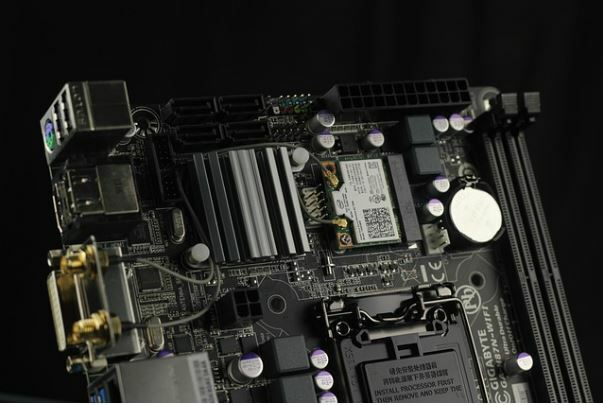 Durable rigid flex PCBs are able to withstand today’s challenge of flawless performance, regardless of the application. Rigid flex circuit boards are a hybrid of all the best qualities of the rigid and flex circuits boards. These hybrid circuits provide better quality control and more design options. Organizations that produce aerospace, medical, automotive, military, and consumer electronics, are increasingly utilizing the versatility of rigid-flex PCBs. When designing and building a rigid-flex circuit board, there are a few basic layout guidelines that can help to ensure consistent quality, while still adhering to production timelines. Here is an overview of the guidelines to follow when building a rigid-flex PCB. Insulate with Bondply: Take the time to insulate the rolled-up copper cladding that is used within the flex layers of a rigid-flex PCB. The bondply prevents the copper from becoming brittle over time. Adjust Via Spacing: The best way for pliable flex materials to remain stable is to place vias 50 millimeters from the edge of the rigid area, adjacent to the flex ribbon. This distance is greater than that found in rigid-only stackups, but it is essential to retain stackup stability. Alternate Flex Traces from Layer to Layer: For the PCB wiring to continue functioning as intended, ribbons need to remain flexible. In order for this to happen, traces cannot be positioned on top of each other, layer upon layer. Instead, stagger the traces vertically to allow for optimal ribbon flexibility. Adapt Adhesive Application: Be aware of where adhesive is being placed. Do not apply adhesive to the bendable parts of circuits that have more than four flex layers. At BESTProto we know the best practices when providing PCB layout services and assembling PCBs. If you are looking for PCB assembly services or want to know more, visit bestproto.net today. Organizations rely on circuit boards to conduct their business daily. When a circuit board gets damaged or stops working, consider circuit board repair service before tossing it out. Here are a few reasons to consider a repair before a replacement. When you invest in repairs from a reputable company, such as BESTProto, you will save time and money, thereby improving your overall bottom line. When it comes to knowledge and experience, you can’t find anyone my knowledgeable and with more experience than BESTProto. 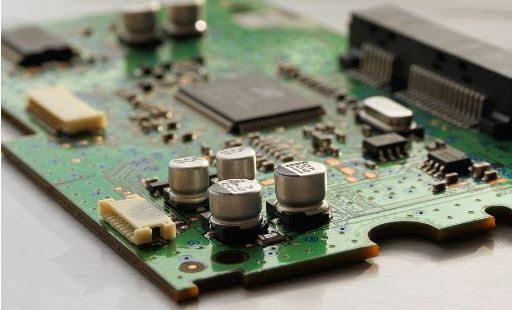 With our years of experience, we are able to offer affordable repair services for a variety of printed circuit boards. You’ll be hard pressed to find another company that offers repair services that are equal to our level of experience and knowledge. Because printed circuit boards are highly complex and sophisticated, they require individuals who are highly trained to repair them. Through years of experience, all of BESTProto’s technicians have gained the necessary skills and experience to handle any circuit board repairs that you may need. Additionally, we only use the highest quality tools and materials needed to ensure quality repairs. As you can see, when you are looking for quality circuit board repair service, you can’t go wrong with Best Proto. We offer quality service that can’t be beaten anywhere else. Our services are affordable, reliable, and supersede industry standards. 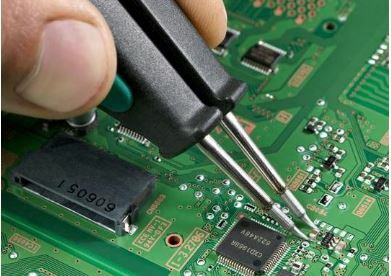 If you need any circuit board repairs, contact us today. From smartphones to kitchen appliances, the heart and soul of each electronic is composed of a Printed Circuit Board Assembly that was, once upon a time, a prototype PCB. Each one comes in an array of configurations that allows it to serve a specific function. As electronics continue to evolve and change, so will PCB Assemblies. Currently, they are found in just about every industry, continually evolving to create new applications. Because PCB Assemblies can be printed on a variety of materials and are pliable and sturdy, they can be used for nearly anything. We will explore the most common applications. Electronics play key roles in the healthcare industry. You can find PCB Assemblies in diagnostic, monitoring, and treatment devices. As electronics continue to develop and evolve, there are infinite possibilities as time goes on. 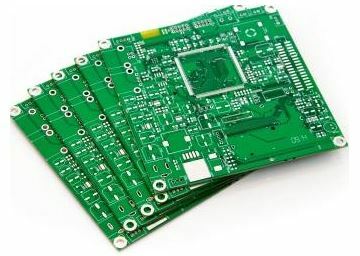 PCB Assemblies can be used within medical devices are extremely specialized so they can fulfill unique tasks.PCB Assemblies used for medical applications tend to be highly dense interconnections. We use these types of electronics on a daily basis. Types of consumer devices include smartphones, computers, kitchen appliances, and entertainment devices. Located in each of these devices, you will find a PCB. Because consumers purchase electronics in mass quantities, it is necessary for the production of PCBs to keep up with the demand. 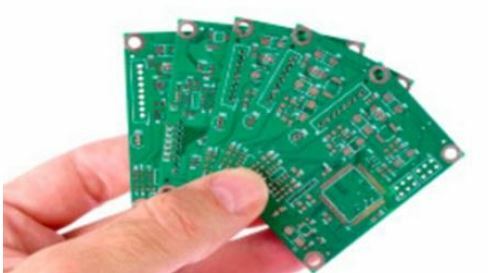 These types of PCBs come with a low per-unit cost, facilitating a low-cost final product. 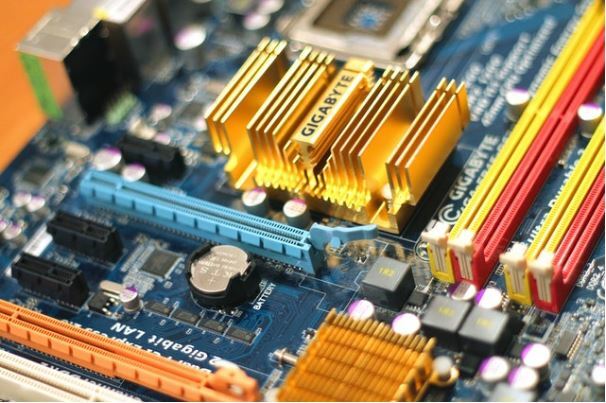 The biggest challenge that PCB manufacturers encounter with PCBs for consumer electronics is that they must achieve uniformity and maintain quality. As a result, PCB manufacturers are required to comply with strict industry standards and quality-control measures that ensure every consumer electronic will function as it is designed and expected to. High-powered industrial applications depend on PCBs to control the mechanisms used in factories and manufacturing facilities. As a result, these devices need to be able to survive harsh conditions that are often found in industrial installations. As you can see, PCBs are everywhere. They are responsible for the functionality we experience every day, from mixing a batch of cookies to reading our blood pressure. All of these electronic devices were once merely a prototype, with a proto PCB that was tested, tried, and, eventually, perfected. Several new technologies are shaping the PCB assembly services sector, and most of these have been developed in response to market pressures. Whether they’re responding to forces from the environmental sector or from legislative changes, engineers have been hard at work developing new techniques that are transforming the industry. A recent push from the healthcare industry to produce smaller devices that could be used in surgery has spurred on the development of new nanotechnology solutions that focus on building components smaller than 100 square nanometers. Minimally invasive surgical procedures necessitate the use of tools that can fit into extremely small openings. Consumers have been contributing to this type of transformation as well since the demand for wearable computer parts has also created a strong need for ever smaller components. Engineers are beginning to manipulate surfaces on an atomic scale, and this is helping them to design materials small enough to meet exacting specifications. RoHS rules forbade the use of any lead-based solder that’s greater than 0.1 percent of the weight of an assembled printed circuit board. Consumers, too, are demanding greener products. With a societal push for environmental conservation, more people are looking to make ecologically-friendly choices. In response, some companies have had to eliminate many chemicals even if they didn’t necessarily have to abide by the rules from a legal standpoint. New chemical technologies are quickly replacing the use of these toxic substances when it comes to consumer-grade equipment. Lead-free solders using tin, silver, indium, zinc, antimony, and other metals are quickly making it possible to assemble circuit boards that don’t have poisonous chemicals in them. 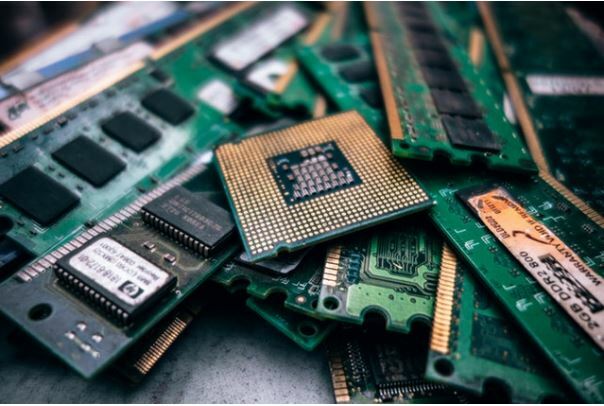 Advances in recycling have also made it possible to recycle existing electronic waste and prevent the release of these chemicals back into the environment. With consumers continuing to push for smaller and more environmentally-friendly devices, PCB assembly services should keep moving forward with the development of new techniques and materials for the foreseeable future. While large companies might be able to handle production delays, you’ll want to look for a PCB assembly partner that can work quickly, while providing regular updates about the process and provide design for manufacturability (DFM) feedback. Keeping a few simple tips about the best industry practices in mind can save a good deal of grief when it comes time to send in your design. You’ll also want to make sure that you’re dealing with a domestic prototype PCB assembly services company. While overseas companies might offer lower quotes, dealing with language, time zones, logistics and customs can add unforeseen delays and costs on top of whatever amount they claim it will cost. Shipping times between countries can also be extremely slow, which is a huge problem if you represent a smaller firm that needs to get a product to market as quickly as possible. Recent advances in PCB technology are making it possible for American manufacturers to now offer landed prices that are competitive against offshore options anyway. Companies that adhere to the best practices in the industry tend to make excellent partners. While it used to be rare to find service providers that accepted small production runs, many of the best domestic companies now have much smaller minimum orders. Established companies like BESTProto also offer PCB testing services, which gives you the option of going with a single service provider to assemble and test your circuit boards, thus cutting out the middleman. This also helps to decrease the amount of time it takes to get to full-scale production. If you’re able to quickly get in touch with a representative from the assembly service provider, you’ve more than likely picked a good partner. Pay attention to how knowledgeable they seem. Prototype PCB assembly service providers that share the industry’s best practices with all of their employees are likely to make good partners. Once you’ve made your decision and you’re sure that you’re working with the right partner, the prototyping process should be a breeze. You have a spectacular idea for a new gadget with functions that are easily controlled by a printed circuit board. However, you only have a schematic. The PCB cannot be released to the public in its current form. It’s time to consider a PCB layout service to take your PCB based product to market. A layout service takes your circuitry connections from a schematic or breadboard, and they create a manufacturable PCB unit. Every circuit must be logically arranged on the board so that the electrical signals move through each component with ease. This service will include an in-depth look at the safety of your circuits. Certain elements, such as microchips, must have the necessary insulation surrounding them. Without this design feature, the chip’s functions might break down because of interference from nearby resistors, transistors or capacitors. You can avoid any functional headaches with a PCB layout service. Your idea and overall business could benefit from PCB services for a number of reasons. By turning to professionals, you’re freeing up resources within your business. An entire department can concentrate on other aspects of your gadget. Outsourcing the design process is simply more convenient. Allow the experts to figure out any issues that might be plaguing the circuitry. You’ll receive feedback on the work, which keeps the rest of your project on track. Dedicating the right people to specific tasks will only boost your productivity and success over time. It’s easy to have tunnel vision when it comes to your circuitry design. Hundreds of hours have probably gone into this design, and it finally offers the functionality that you demand. Working with a service gives you a third party’s view of your work. They may see improvements or changes that you’ve overlooked. These suggestions aren’t comments on your abilities, however. A fresh look at the design may be what you need to move the project forward. One of the costliest mistakes in the production world is faulty dimensions. You might have a PCB size in mind, and housings for your creation are being built right now. Any changes to the PCB size, however, renders your housings obsolete. PCB services will get the circuitry and size right the first time. Therefore, reducing the probability that your production will suffer. When you turn to BESTProto, you’ll be working with professionals who understand the PCB layout business.